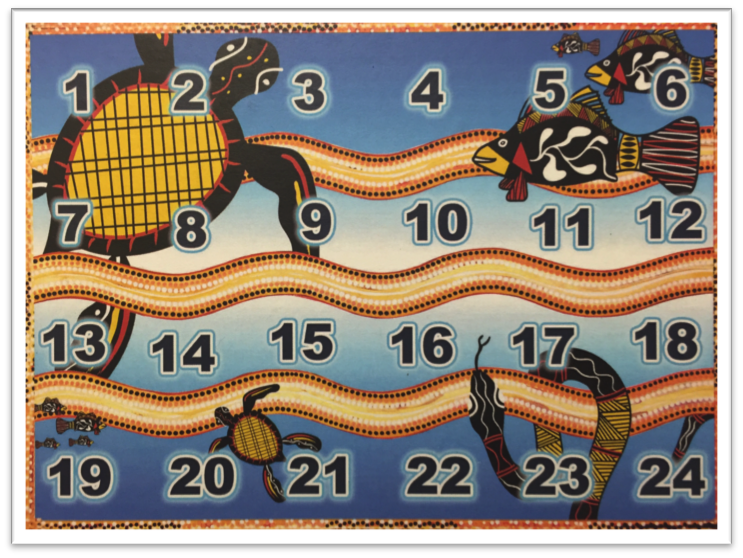 View cart “Aboriginal Literacy and Numeracy Worksheets – 1” has been added to your cart. 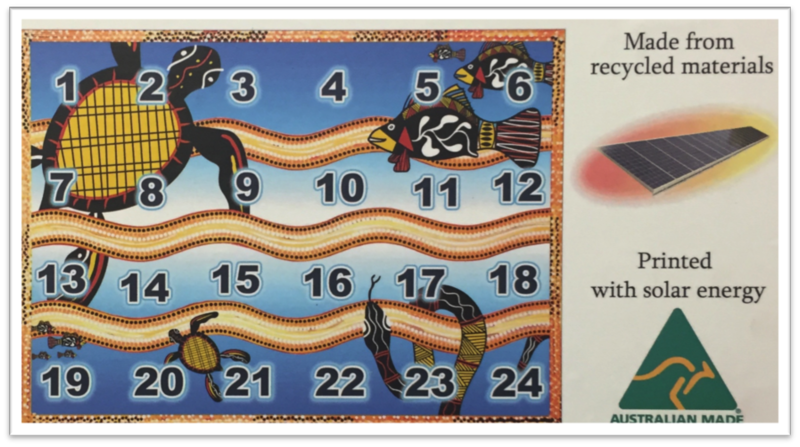 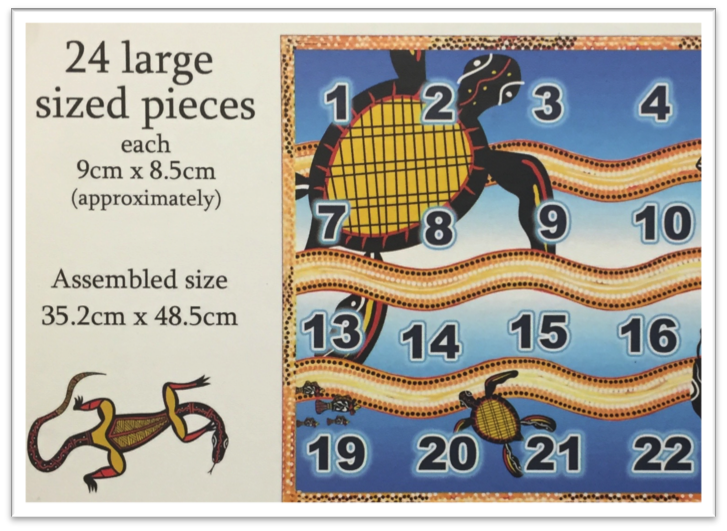 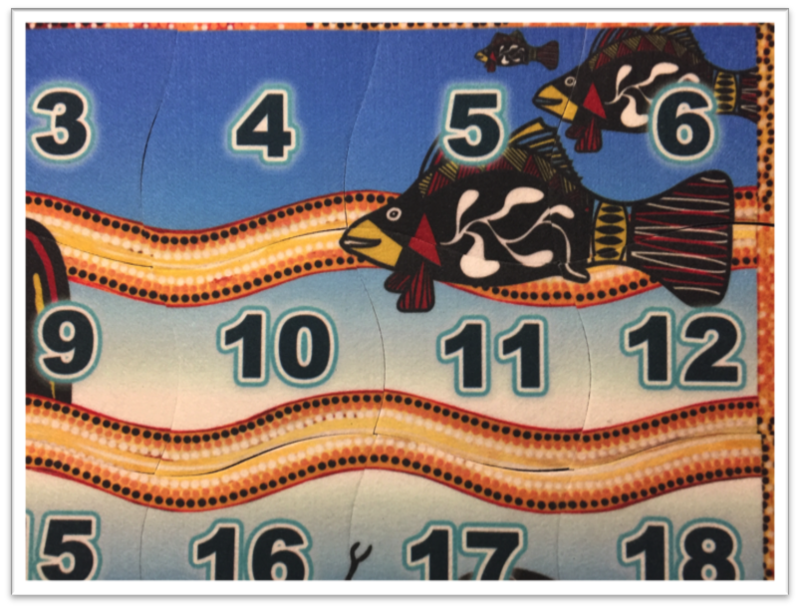 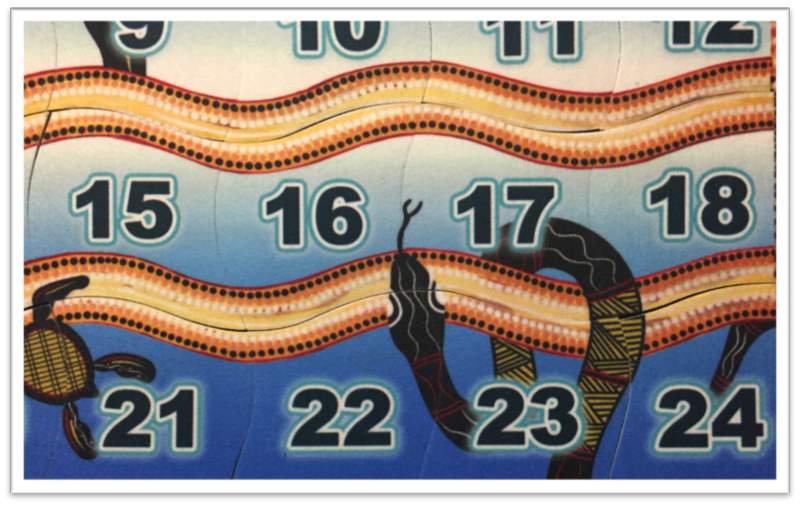 Great exciting Aboriginal counting jigsaw for all ages. 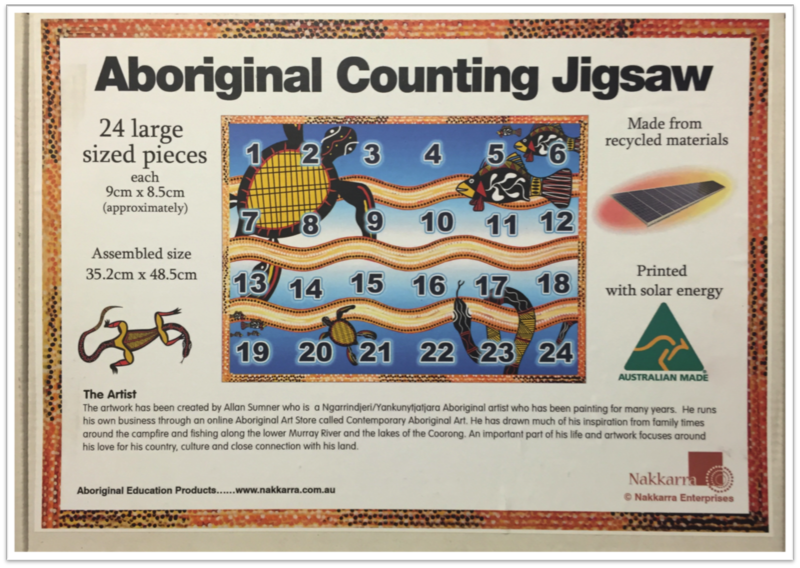 Learn to count with large jigsaw pieces. 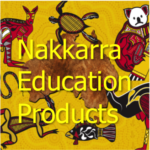 These are good for young child development. 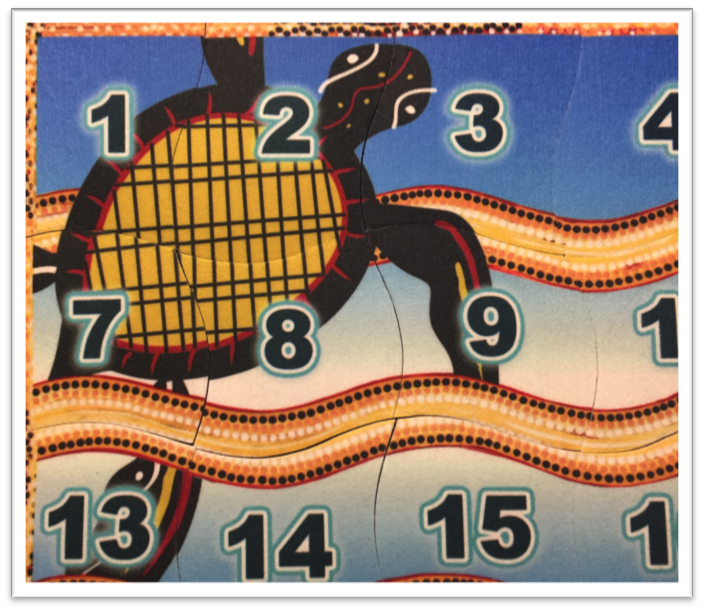 The wonderful jigsaw was designed by Nakkarra and the artwork came from Ngarrindjeri artist Allan Sumner.